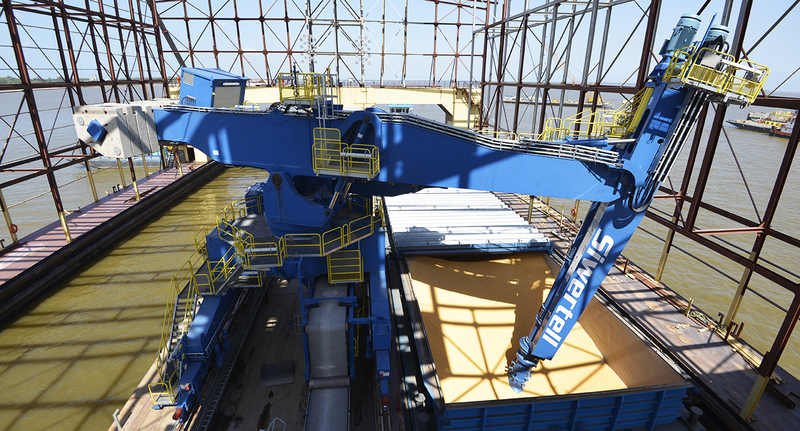 A lightweight, barge-mounted Siwertell ST-790 M ship unloader serves the intake requirements of a grain export terminal at Barcarena in the northern Brazilian state of Pará. 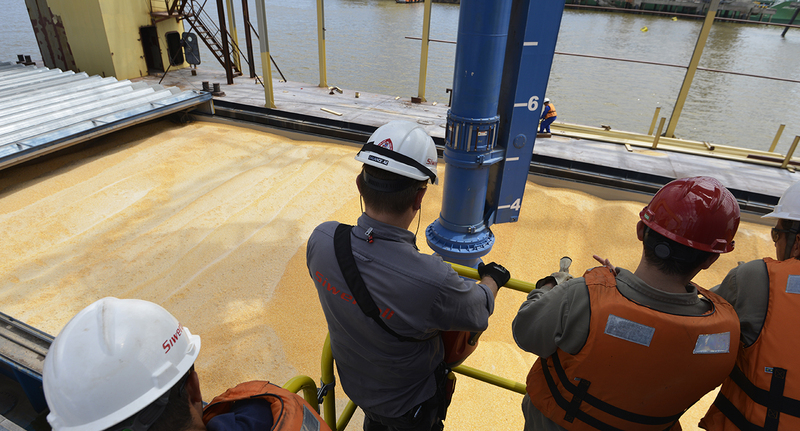 The owner, ADM de Portos Pará, needed gentle, high-capacity grain and soya handling with no spillage. ADM de Portos Pará approached Siwertell to discuss the unloading requirements of its newbuild grain and soya bean export terminal in the Bay of Capim, Barcarena, Pará, Brazil. ADM de Portos Pará is Brazilian subsidiary of the Chicago-headquartered agricultural processing company, Archer Daniels Midland. It planned the new terminal because local conditions mean that it is cheaper and more efficient to receive agri-bulk cargo via river barges than by road. ADM wanted a high capacity unloader, with no spillage, that would handle the cargo gently to avoid any damage. Weight was an important consideration, as it had a direct impact on barge dimensions. ADM stipulated a tight delivery schedule. ADM placed an order for a Siwertell ST 790-M fully-enclosed barge-mounted unloader in 2014. 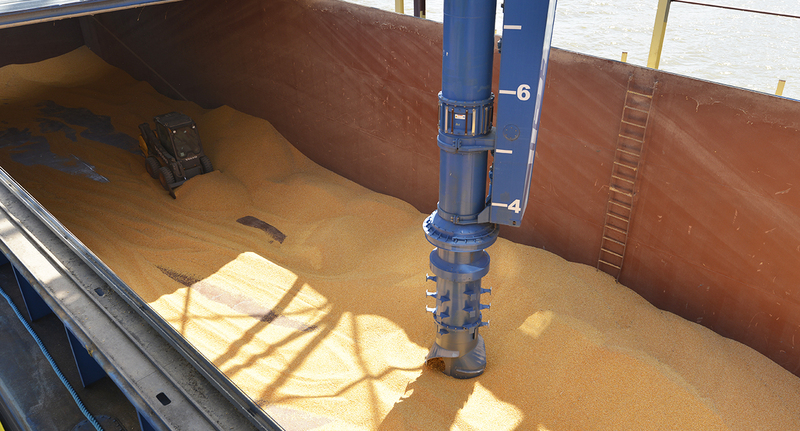 With a small physical footprint and weighing only 254 metric tons, complete with its counterweight, it is the ideal solution for barge-mounted operations. It has a rated capacity of 1,500t/h for soya beans and grain. Siwertell systems have an excellent track record in handling delicate materials, including agri-bulk cargoes such as grain and soya beans. Gentle handling is vital because cargo degradation has a detrimental effect on processing and can result in a cargo being downgraded. These were important factors in ADM’s decision to purchase a Siwertell unloader, along with its proven reliability and extremely clean operations. 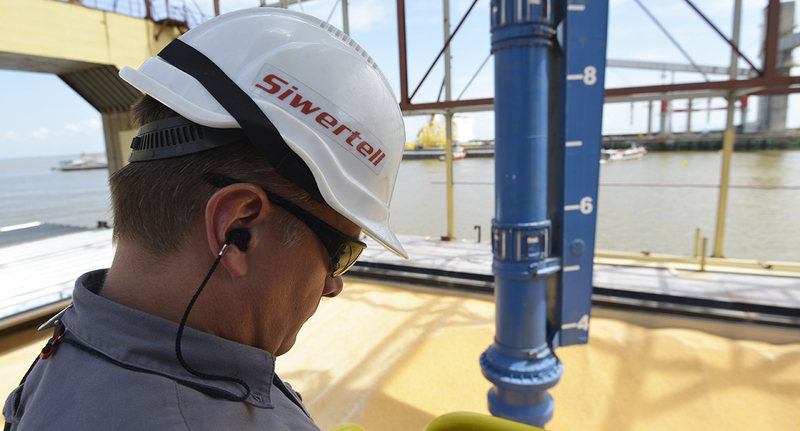 ADM will benefit from Siwertell’s global service presence. ADM is very satisfied with its Siwertell unloader, which comfortably achieves its rated capacity of 1,500t/h while discharging river barges up to about a 2,000-tonne capacity. Agri-bulk material discharged from the barges is transferred to storage facilities ashore for subsequent onward transport and export by bulk carriers. ADM has plans to quadruple the capacity of the export terminal to six million metric tons a year, handling Panamax vessels. 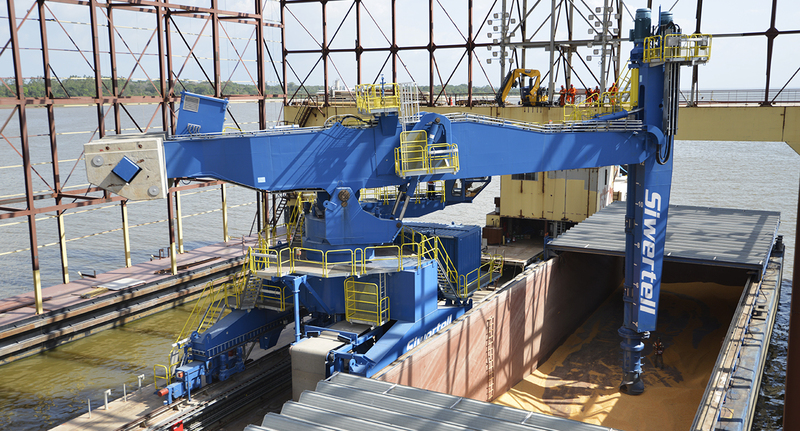 The Siwertell unloader meets the terminal’s expanded cargo handling demands. Siwertell’s lightweight loaders and unloaders are ideal for floating installations. Their main advantage in these applications is that operators can overcome large tidal ranges and variations in river levels.